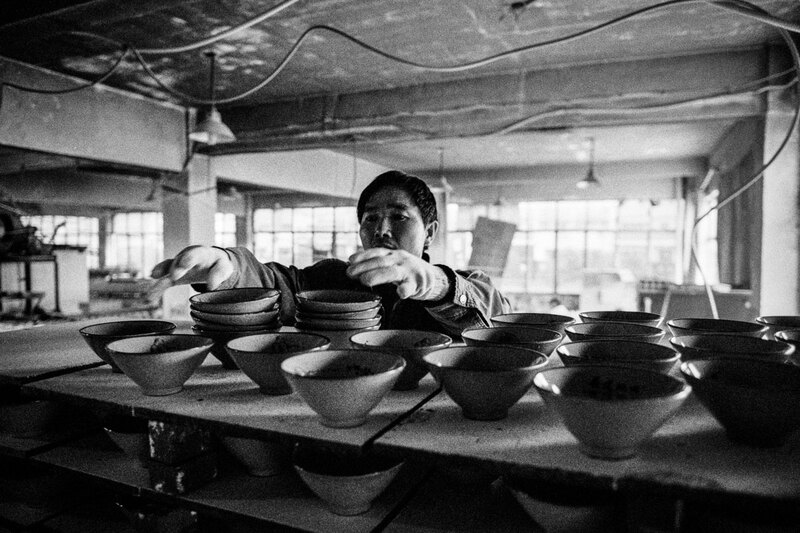 Fine china is a project been developed earlier this year. 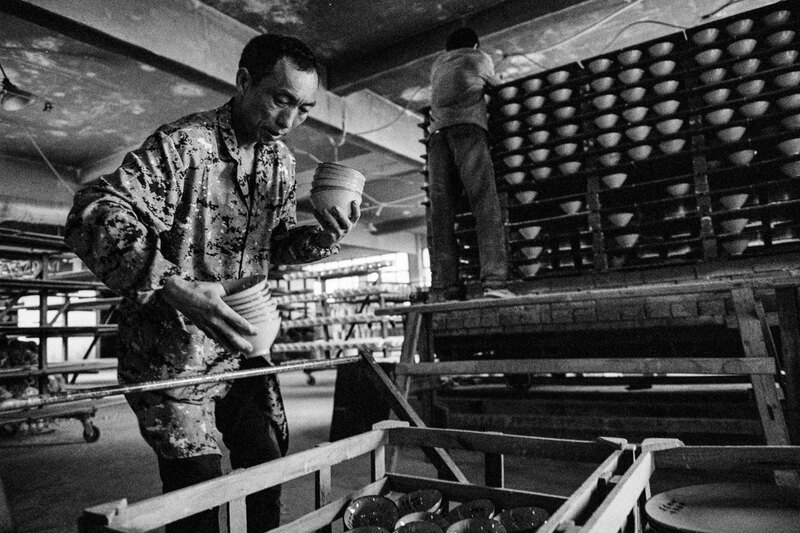 I went to the porcelain Capital, Jingdezhen, China to discover the traditional process of making fine china. 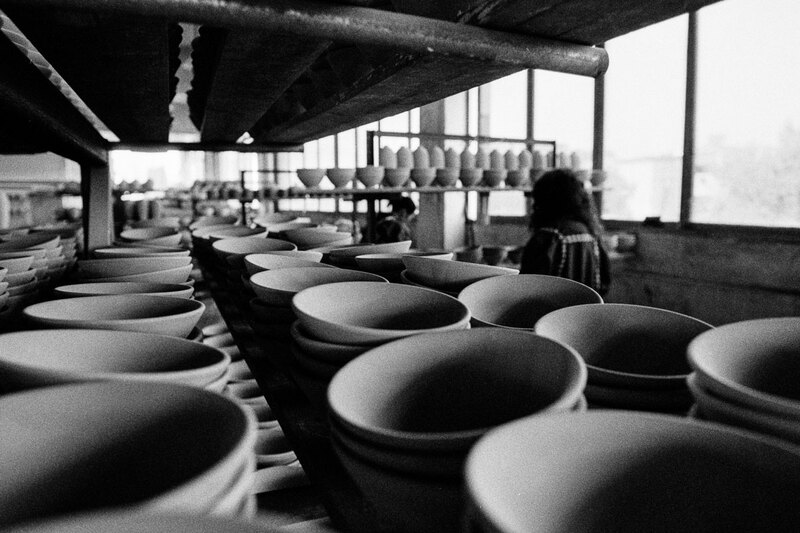 The entire project is been shot on Ilford HP5 Film. 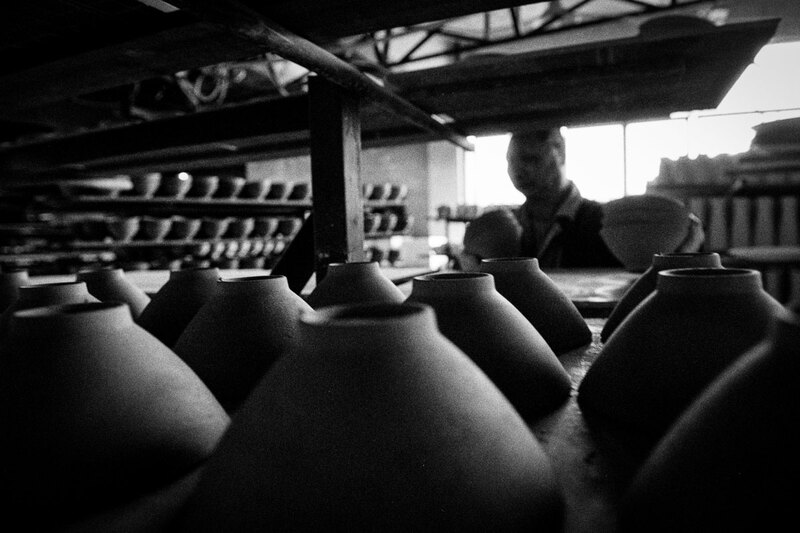 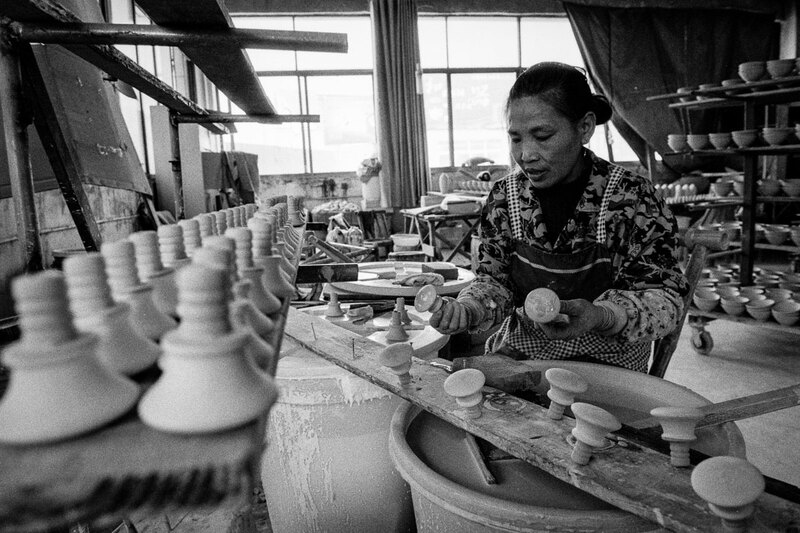 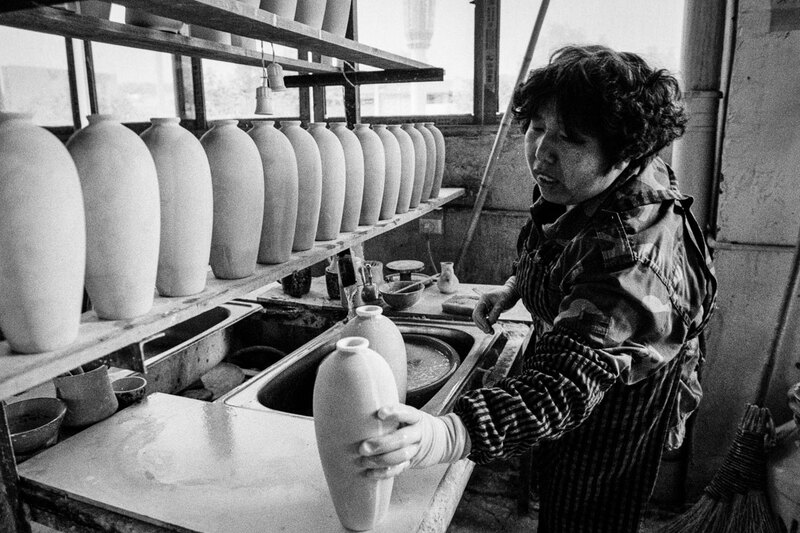 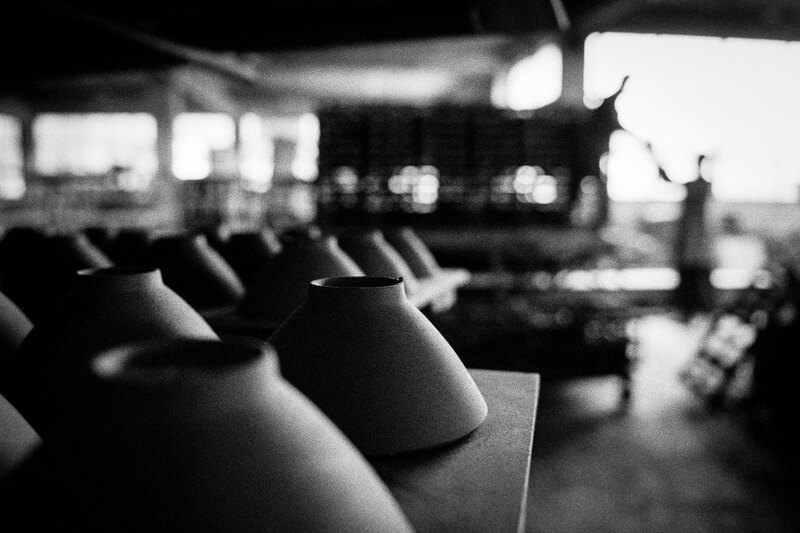 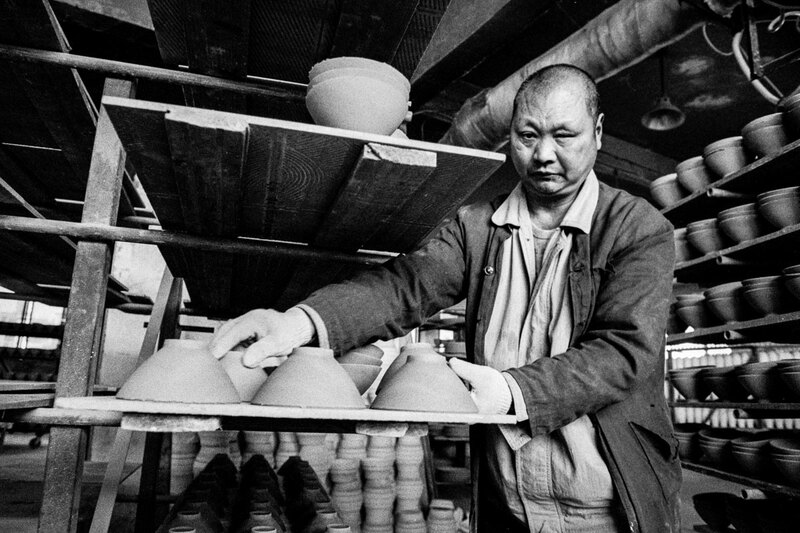 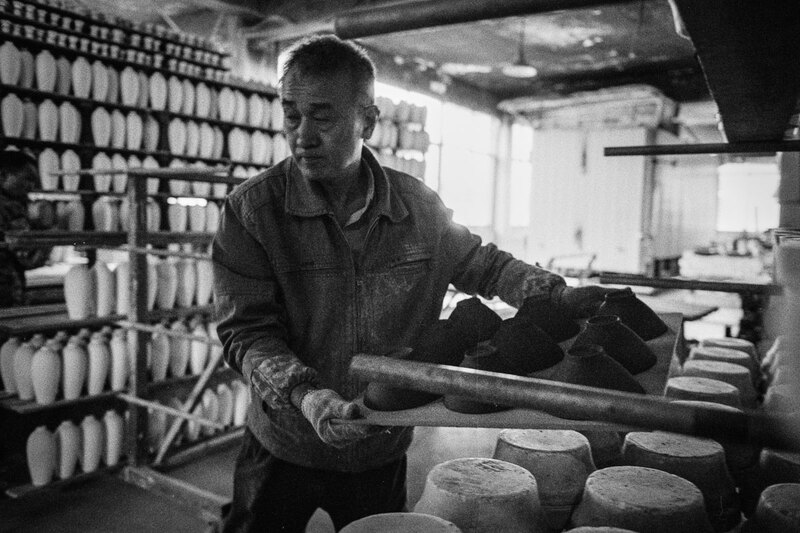 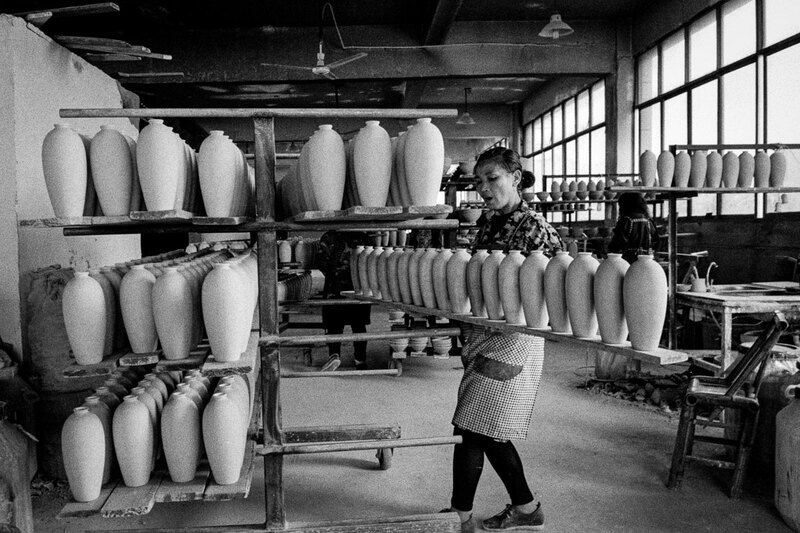 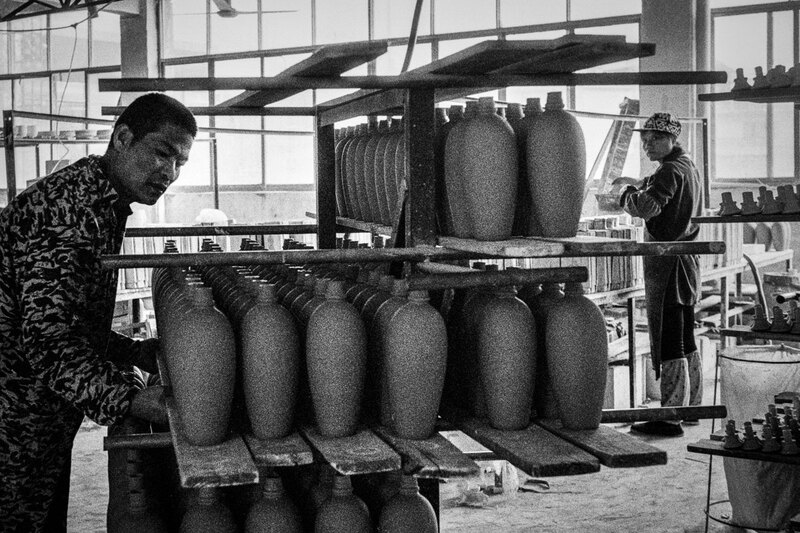 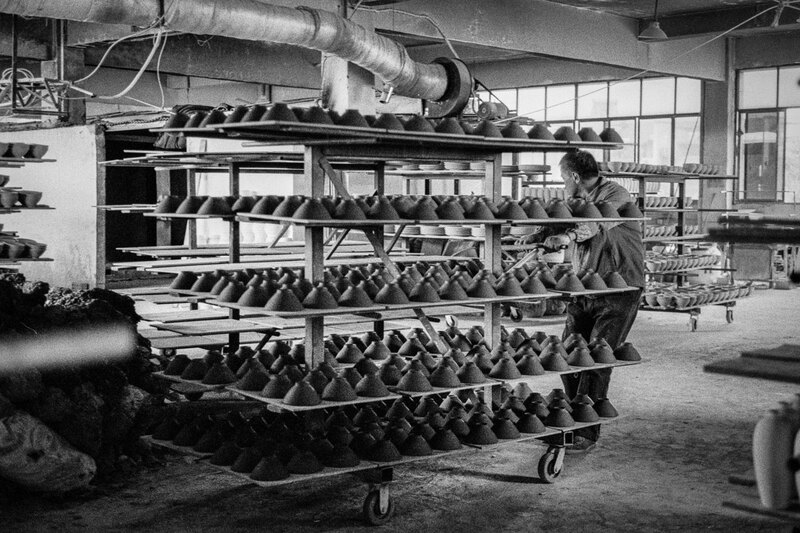 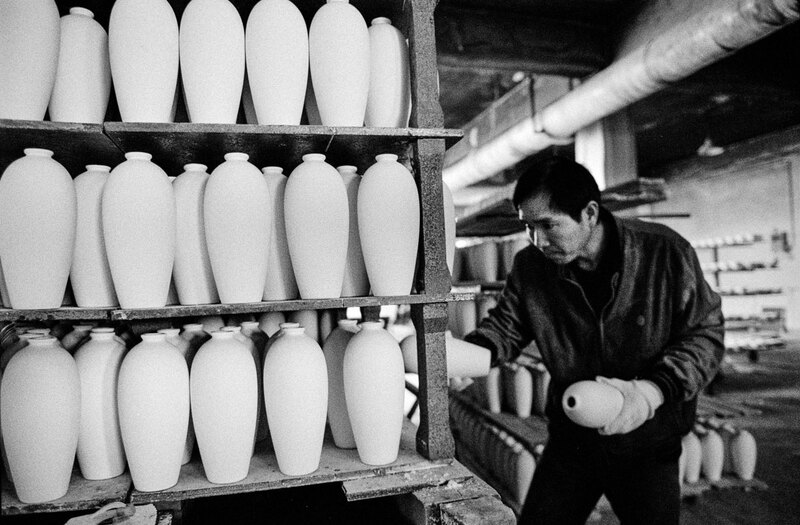 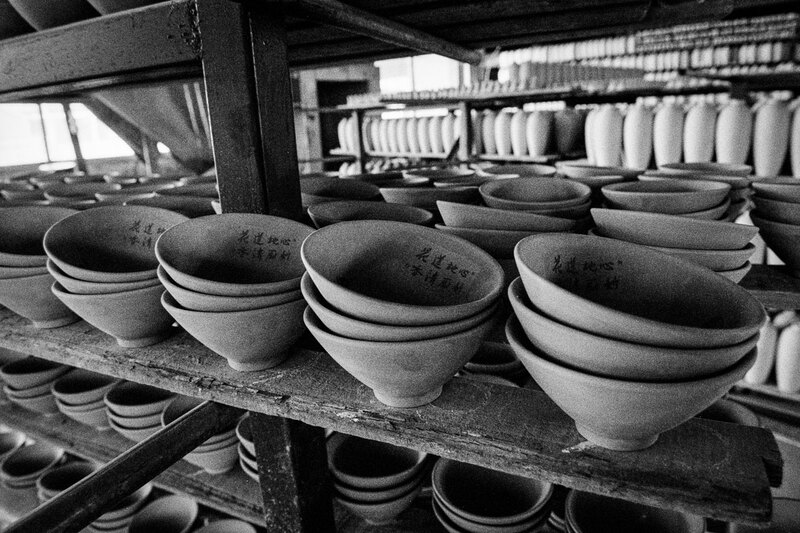 Jingdezhen has been producing pottery for 1,700 years. 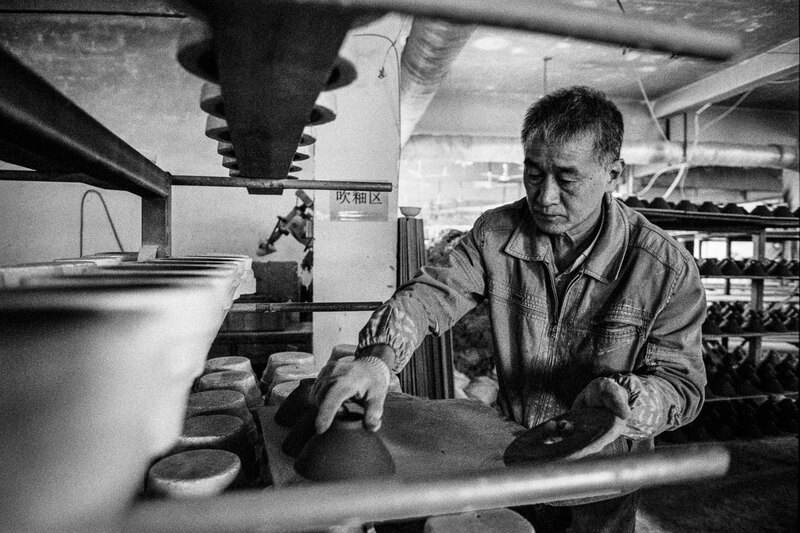 Nowadays, porcelain makers are still using the traditional process which been passed on generations by generations over thousand years. 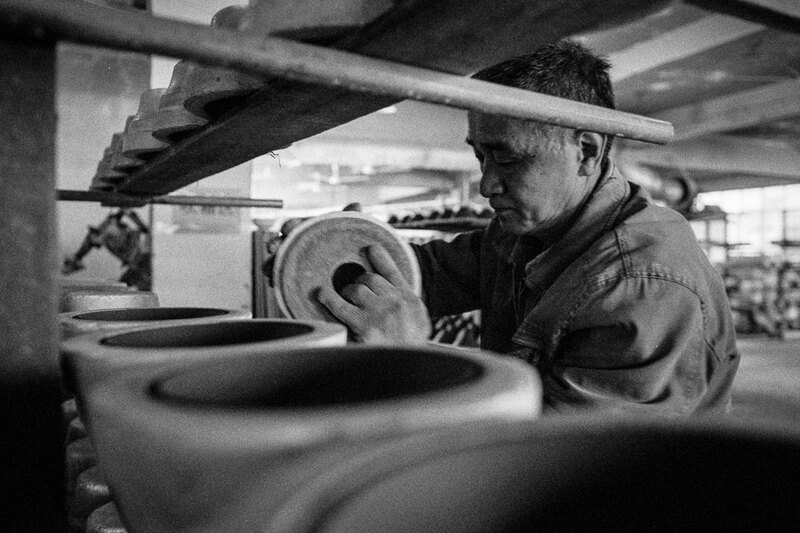 The factory is not a bad environment to work at all, as most people would not expect it. 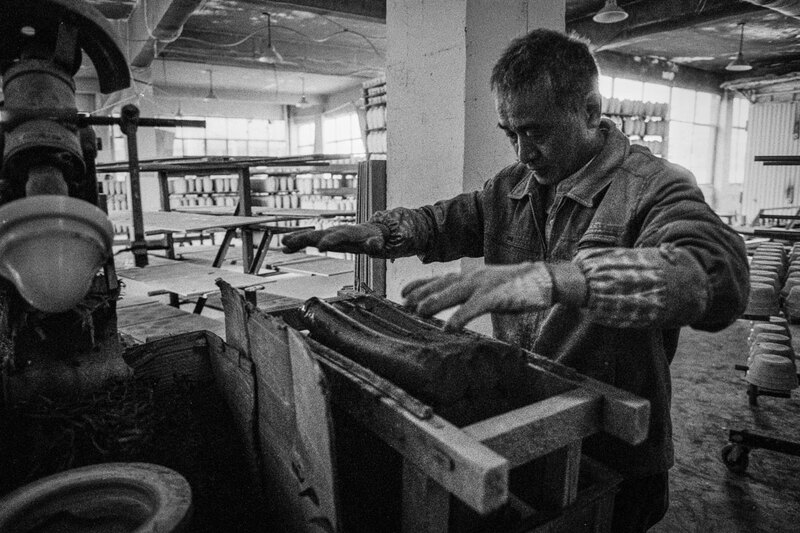 It is definitely not a sweat shop. 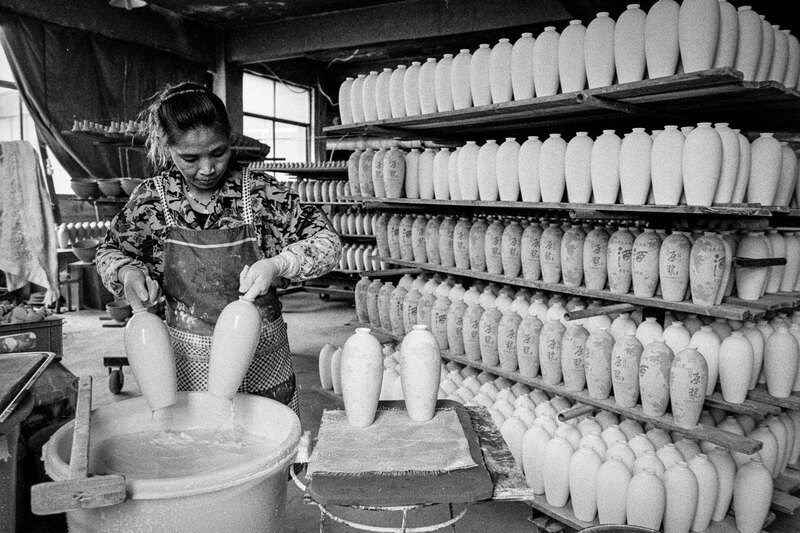 All they workers are enjoying what they are doing, and they have been working here for many years. 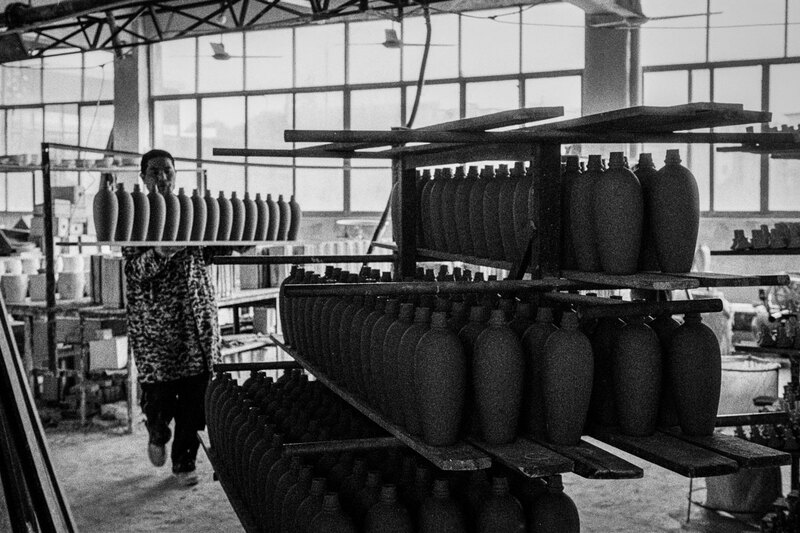 Workers are very experienced which can be seen from how effective they are doing each process. 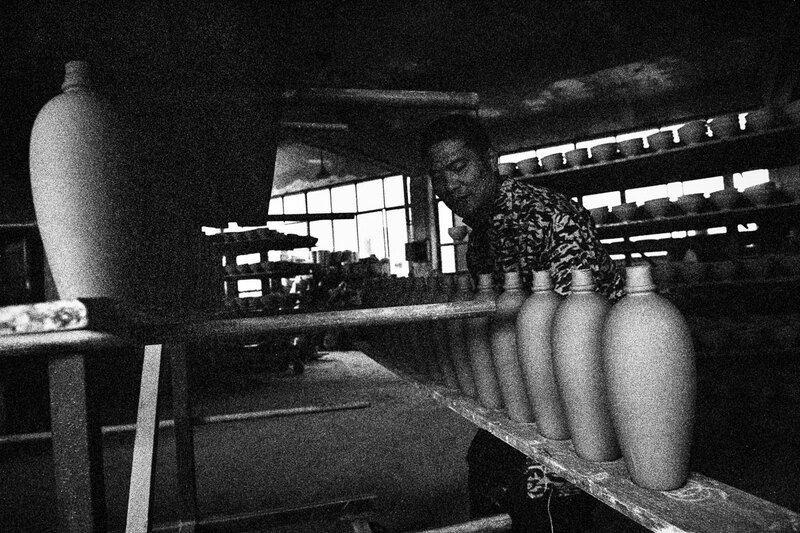 Although the order is quite lager, no one seems in hurry here. 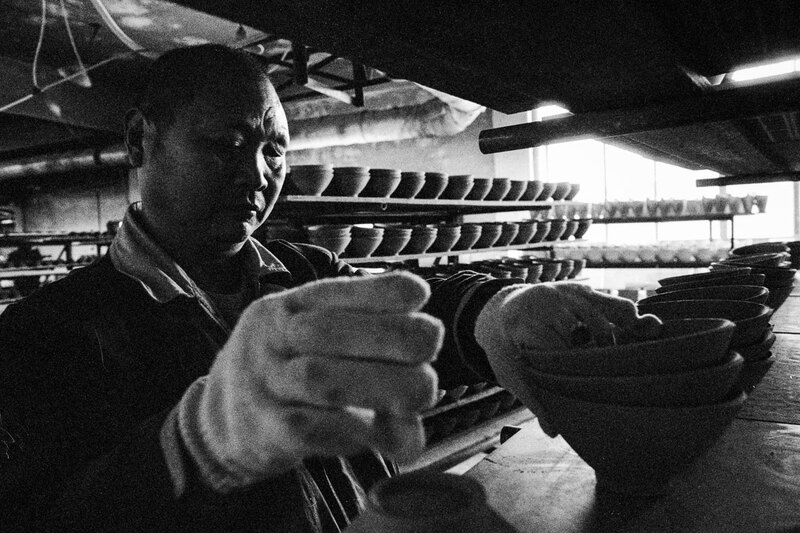 The worker told me that you can’t rush in process of making porcelain because there is no point. 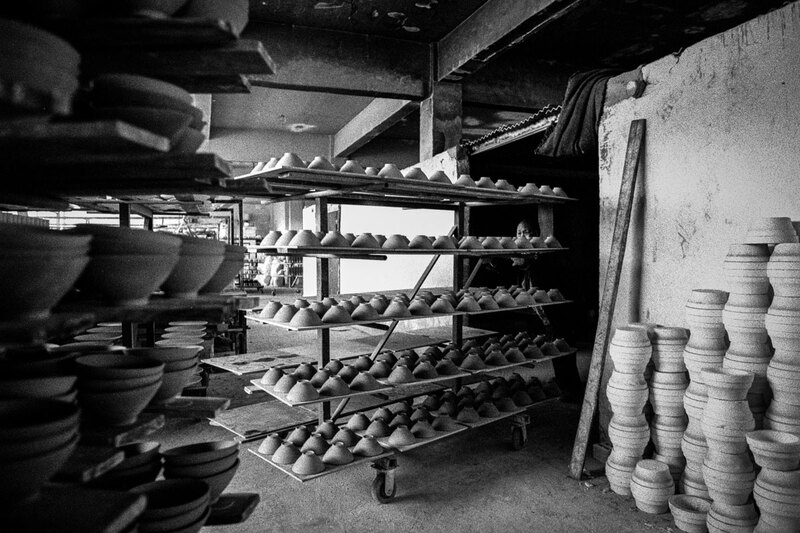 Everything takes time in the process, mud takes time to firm; module takes time to dry; final product takes time to cook. 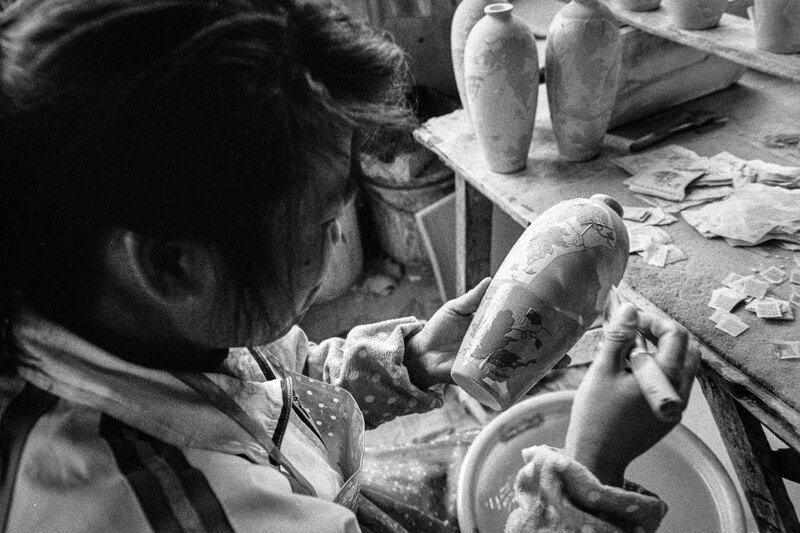 Don’t we always say good things take time? 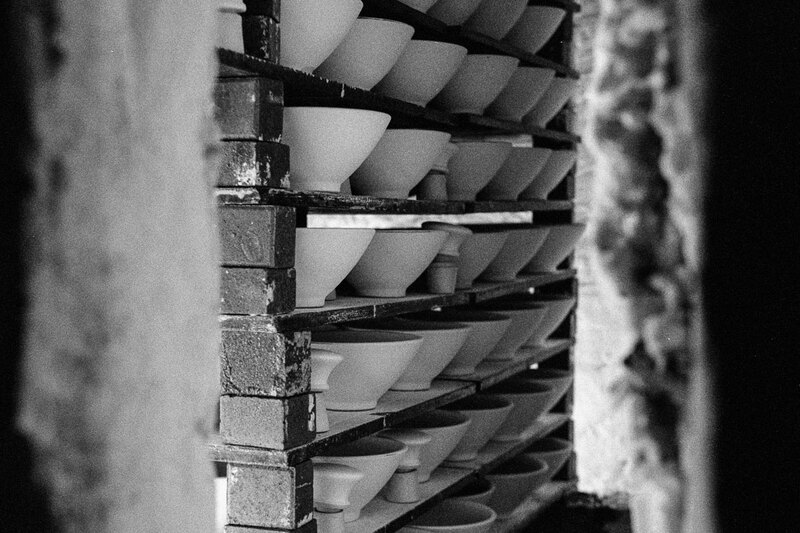 Porcelain makers just proved this point. 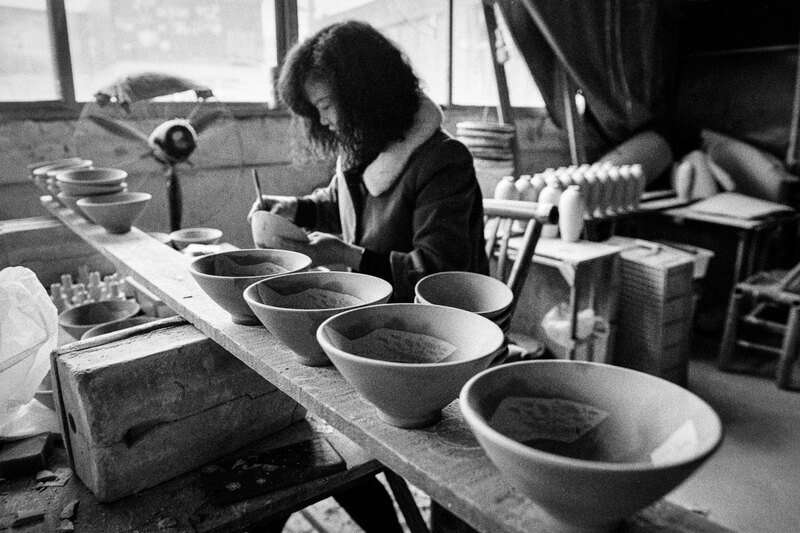 Mastering one thing is not that hard but it is commitment if we are willing to spend a lifetime on it. 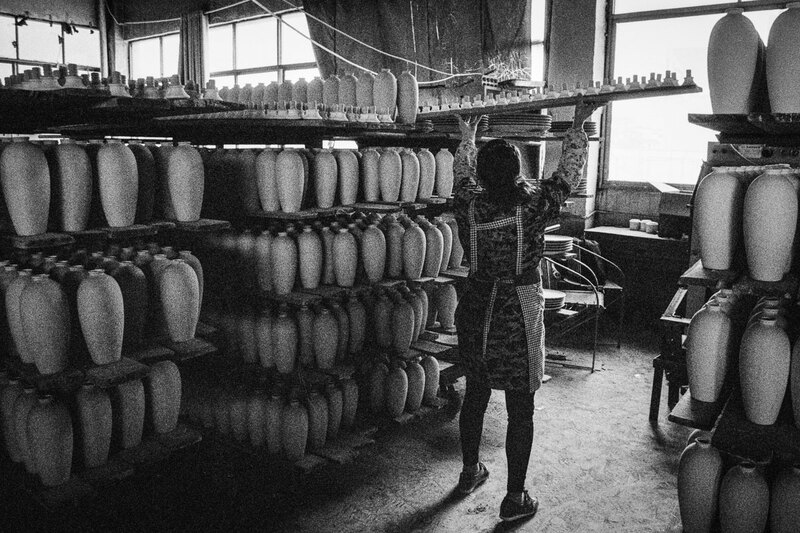 Shine Huang is a Chinese-born photographer based in Atlanta, Georgia, USA. 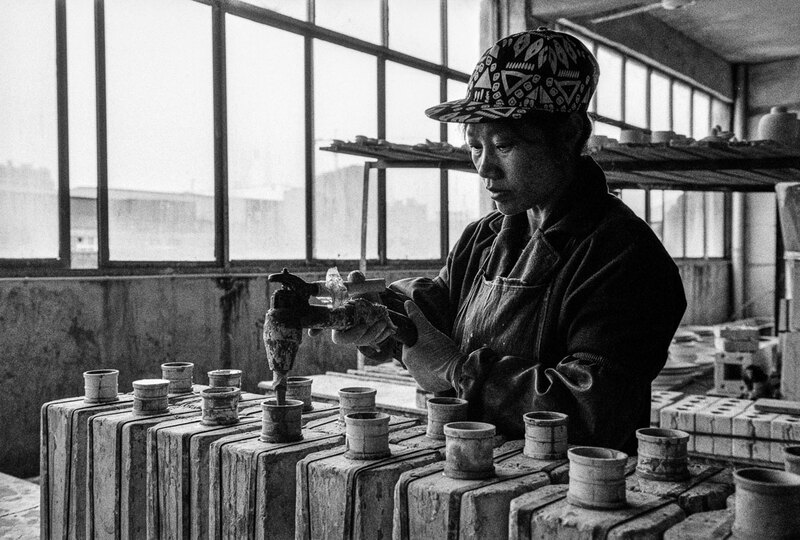 Shine started photography as a photojournalist in Shanghai, early 2000. 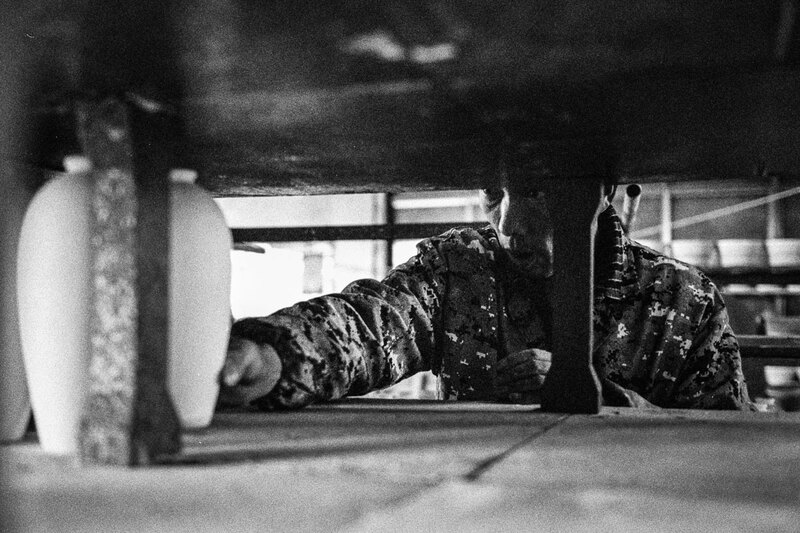 In the past 10 years, he has been worked as photographer and photo editor at The Herald newspaper, KAIT-TV, Canyon News Santa Monica, CNN Films, and CTRL Studios. 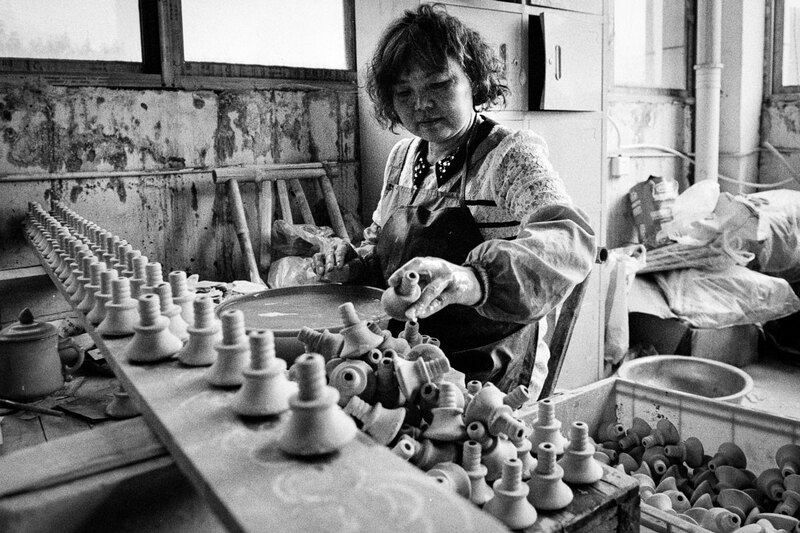 Shine’s work has been exhibited throughout the United States including Mason Fine Art Gallery, Toris Gallery, South Southeast gallery, Abington Art Center, Photo Place Gallery, Center Santa Fe Photo review. 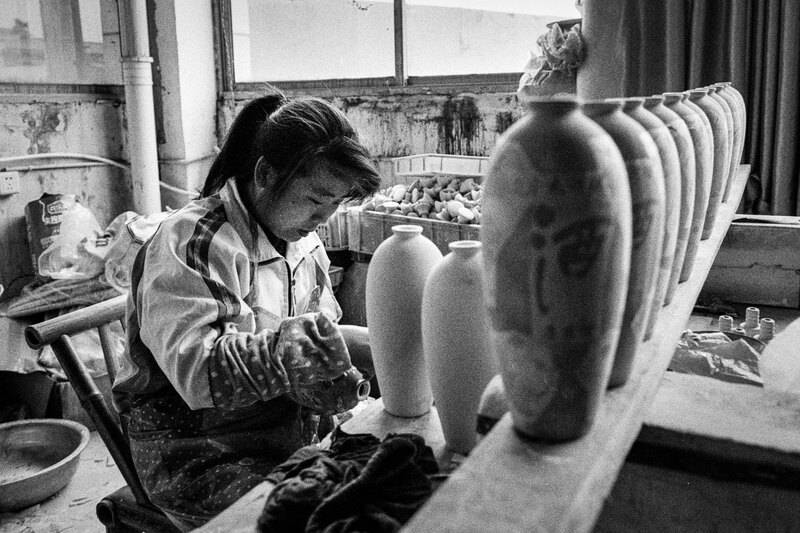 His work also has been featured on different magazines including Lensculture, National Geographic, Ilford Photo, and SxSE Photomagazine.